Parents? Check. In-laws? Check. The kids? Check. You think you’re done shopping for holiday gifts and then you remember all the other people in your life that deserve a special something. Maybe it's your neighbors, your dog-walker, your babysitter, or teachers. Don’t leave anybody out this holiday season! StickerYou can help you DIY your way with super easy, inexpensive, and thoughtful holiday gift ideas for everyone else on your list. We totally get it. 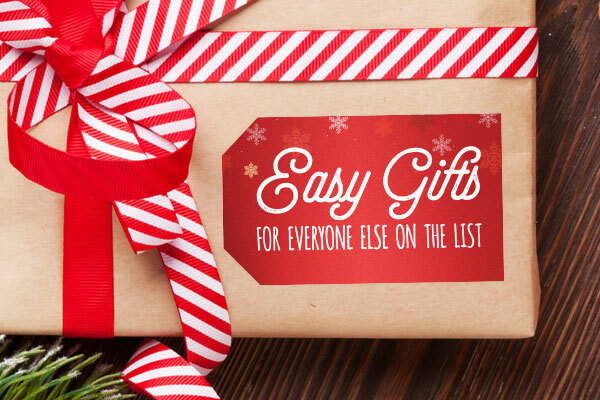 You probably won’t be able to give everybody you know extravagant gifts. Don’t let this stop you from showing them how much you care though! StickerYou holiday products take your simple DIY gift ideas to the next level by adding personalized touches that you can make on your own through our super easy-to-use Sticker Maker platform. With no minimum order quantities, you can make and order any amount you like. Custom stickers, temporary tattoos, iron-on transfers... you name it! You'll have everybody thinking you spent days planning their gifts! If you’re in a bind, don’t worry. StickerYou has different shipping options to make sure you give your gifts right on time. With a job as stressful as teaching, a glass of wine now and then makes for perfect “me” time. Show your child’s teacher they deserve all the relaxation they can get with a personalized bottle of wine. 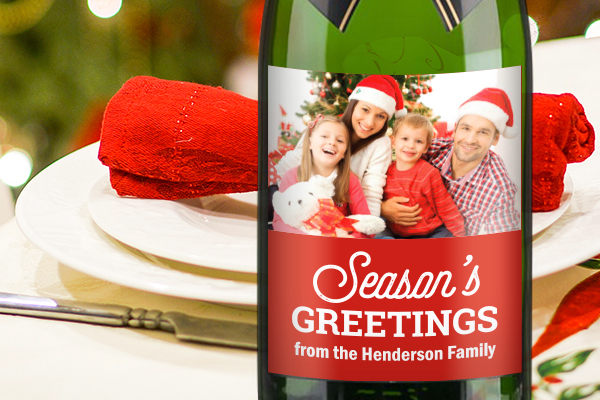 Make your own wine labels by uploading your own custom design to our Sticker Maker or use one of our own holiday-themed templates. Your teacher will love it. We promise. Homemade hot chocolate is always a safe and tasty bet for gift-giving. 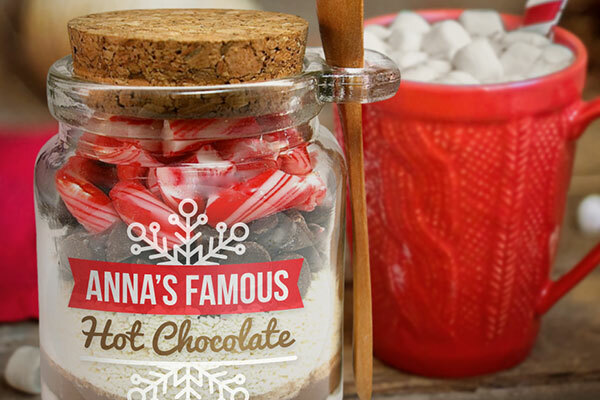 Surprise your babysitter with a jar full of hot chocolate powder, marshmallows, and peppermint candy cane and add some personalized pizzazz to the packaging with a clear sticker. Tip: You can buy jars at your local dollar store and mass-produce your hot chocolate gifts for super cheap. You don’t have to go over budget to give thoughtful gifts to your neighbors. 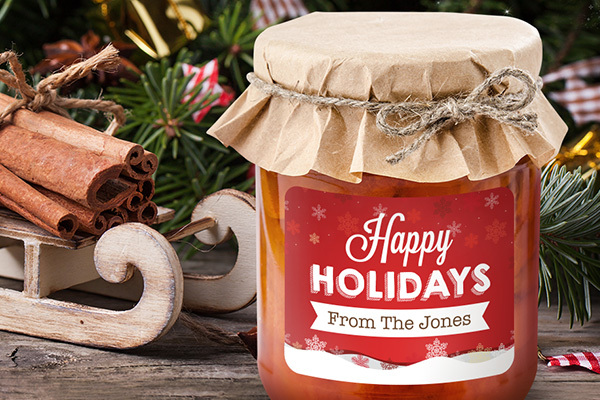 With labels so inexpensive, you can mass-produce your homemade jellies, marmalades, and spreads, but still add a personal touch with custom jar labels to each and every one. If you’re new to the canned preserves game, check out our blog post on easy canned preserve recipes for newbies! We all have those family members who we send holiday greetings and school photos to but actually don’t talk to much any other time of the year. Hey, no problem. 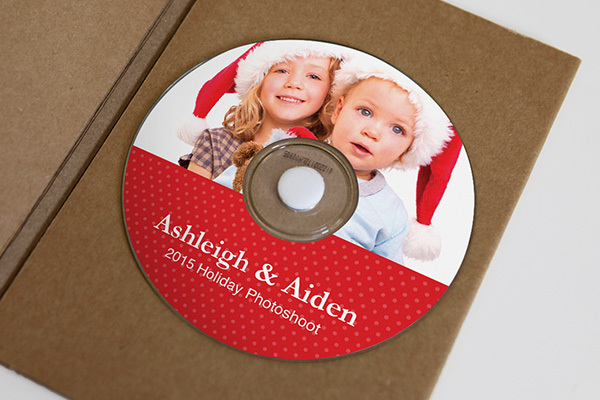 Step up your holiday greeting this year by burning a photo slideshow of what your family has been up to recently onto a CD and personalize it with a custom CD label. We guarantee somebody will earn lots of cheek-pinching the next time the family is around. The best gifts don’t have to be the most expensive! Make the most out of the holidays with these ideas that show how much you appreciate the other people in your life without going over your budget. Check us out on Facebook, Twitter, Instagram, Pinterest, Google+, and YouTube for even more DIY gift, home decor, and life hack ideas!